The Crystal River Inn is the perfect location for a beautiful outdoor wedding ceremony and outdoor wedding reception. 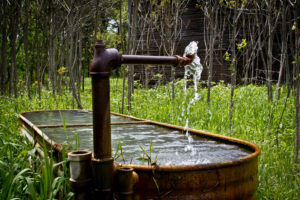 We are located in the quaint and charming village of Rural, just minutes from Waupaca, Wisconsin and the Chain of Lakes. The Inn sits on the banks of the Crystal River which winds throughout the historic village. 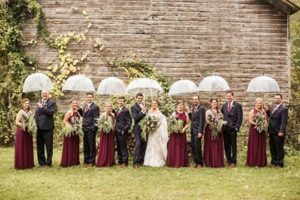 Innkeepers, Paul & Shayna Cappelle, were married at the Crystal River Inn in May of 2011 and had the wedding of their dreams. Outdoor wedding ceremonies surround the riverside gazebo with the Crystal River flowing by peacefully. 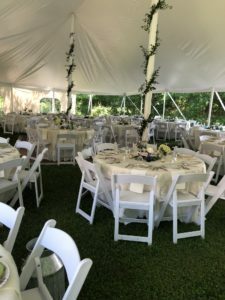 Wedding receptions are held in an outdoor white wedding tent. Guests are welcome to explore the 11.5 acres of our grounds with paths winding throughout our property. 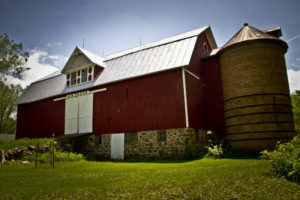 Capture memories of your special day with the Crystal River, the bubbling Artisan well, prairies of native flowers in bloom and the beautiful historic home and barns. 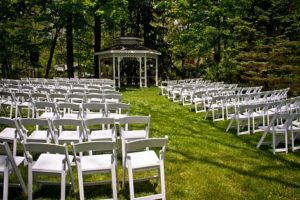 We can accommodate up to 150 guests for outdoor wedding ceremonies and outdoor wedding receptions. 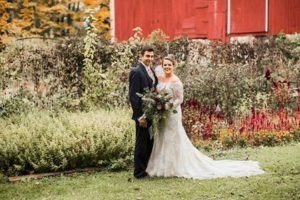 Paul & Shayna Cappelle will assist you in creating the wedding of your dreams. 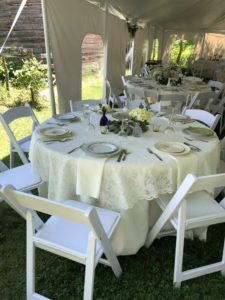 We work with a number of local businesses and coordinate the rental of the tent, tables and chairs, beverage company, etc. 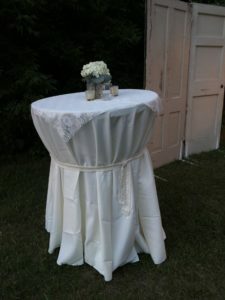 We’re happy to provide recommendations on caterers, florists, photographers, etc. 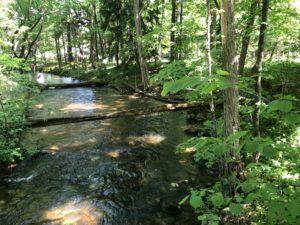 The Crystal River Inn accommodates up to 30 overnight guests in the inn and our three cottages and breakfast is included for all overnight guests. We are happy to cater to special diets including vegetarian and gluten free, etc. Children are welcome and we have lots of toys, games, activities to keep children busy. We have outdoor yard games for the guests too! Dogs are welcome in any of the three cottages. 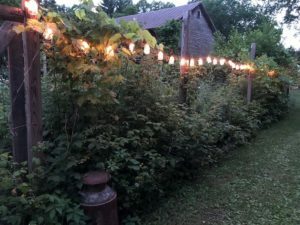 Give us a call at (715) 258-5333 or email us at info@crystalriverbb.com to see if this might be what you’re looking for in an outdoor destination wedding celebration. We’d love to talk with you about your hopes and dreams for your special day!